In an era where we have an abundance of information, it is easy to forget the golden teachings of olden times. Despite that fact that Chanakya Niti was written in the metaphorical ‘days of old’ it is quite astonishing that the level of relevance the teachings have in our modern lives. 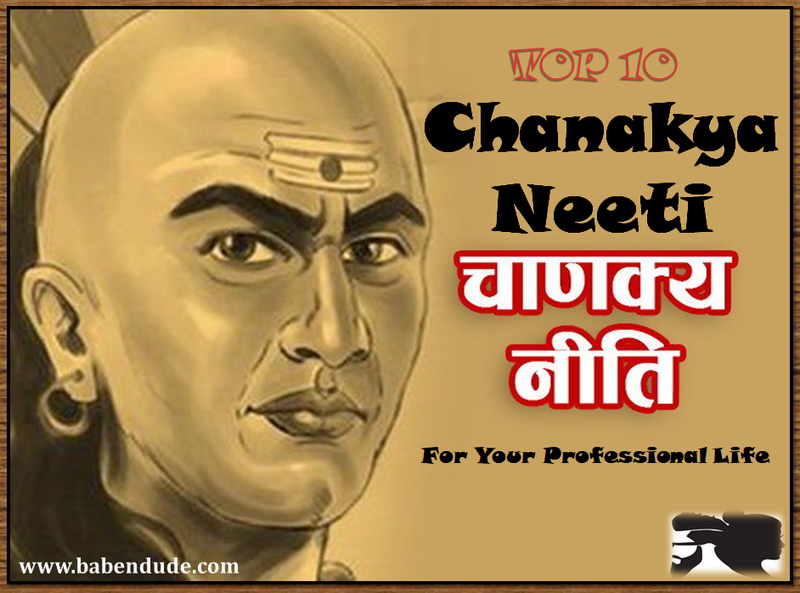 Here are some key points for professionals from the great Chanakya Niti. Growth is a painful process and so is learning. Seeking comfort can mean being stagnant and leading a repetitive lifestyle. This is a point of definite relevance. In a world where competition is high, there is no dearth of ideas. It is all about who executes their ideas first and the last thing you need is someone copy your ideas. Nobody likes to surround themselves with negative energy especially in the workplace. And being foul-mouthed means saying things that are hard for people to forgive and are often words that you can never take back. In a professional setting, always use professional language. Honestly, staying away from negative elements is the best way to help yourself. Revenge is tempting, but often, not worth it. Voluntary Discomfort is almost certainly the path to success as you challenge yourself while anticipating failure and giving yourself the mental strength to face it. In other words, live up to your image, especially when it is a beneficial one. If people look at you and think that you look like a hard worker, live up to it even if you disagree with them! Never disclose your weaknesses to people in your professional setting. People can use it against you. Have you ever been in the presence of an individual who just seems to take up so much of your energy? Evaluate whether you are counseling a ‘fool’ or are constantly pandering to a resolutely unhappy person. When we make mistakes, especially in a professional setting, it is seen as a blow to one’s ego. This leads to people either treading too carefully or avoiding risks. But a thick skin is required to succeed in business. Make mistakes, learn and grow is the key. Life is meant to be lived to its fullest. In your youthful prime is when a man can slog in order to grow the fastest. Make sure to use your youth to grow and learn so that you can be comfortable in your later stages. Your job title is not everything when it comes to success. There are many other aspects of life. A CEO may not have good work-life balance, or your Manager may not be the best at what they do. There are many layers to success.